If you’re a bit of a food lover you’re in for a treat in Marbella, nearby Puerto Banus and throughout the Costa del Sol. There are hundreds of fabulous restaurants and cafes in the area, where you can enjoy all the wonderful colours and flavours that Spain has to offer including traditional gazpacho, paella and tortilla espanola. But if your taste buds fancy something other than Spanish cuisine, there are plenty of other options available too. Choose from Italian, Mexican, Thai, French, Russian, Japanese, Danish, Argentinian or even Peruvian. Our restaurant transfer service will collect you, your friends, your family or colleagues from your hotel, take you to the restaurant of your choice then pick you up again later. Not sure what restaurant you want to go to? Just ask us. We’re based in Marbella so we know all the local hot spots. Yes, there are some fantastic restaurants in Marbella. 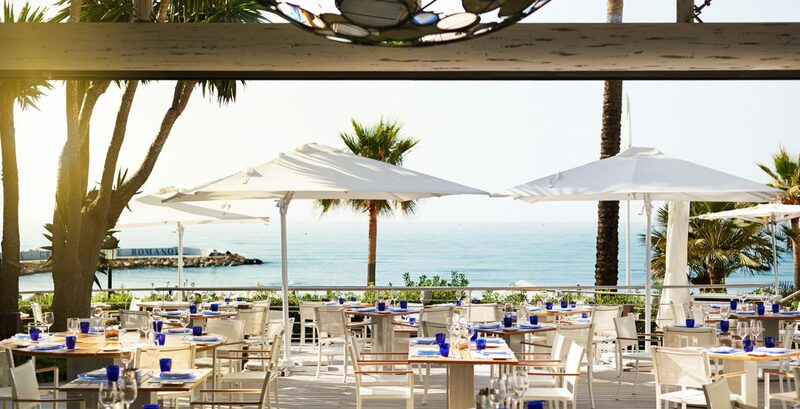 But if you want to discover other gastronomic delights along the coast, our restaurant transfer service can take you to Puerto Banus, Nueva Andalucia, San Pedro, Duquesa or Sotogrande too. Tell us what you enjoy eating and the occasion and let us do the rest. Get in touch with the team now to get a quote and to book your Simply Shuttles restaurant transfer. Once you’ve made your restaurant transfer reservation, we’ll send you a detailed itinerary confirming all your transfers including pick-up locations, drop-off points, times and dates.